1. The diagonal of a Rhombus are 9 cm and 14 cm. What is its area ? 4. The perimeter of the top of a rectangular table is 28 meter. Where as its area is 48 square meter. What is the length of its Diagonal ? 5. 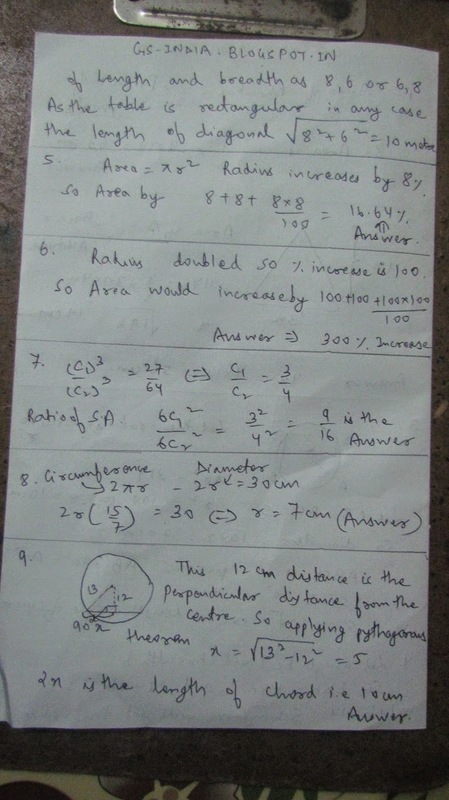 If the radius of a circle increases by 8 % then by how many does the area of circle increase ? 6. If the radius of a circle is doubled then by how much does the area of the circle increase ? 9. Find the length of the chord that is at a distance of 12 cm from the centre of a circle of radius 13 cm. 10. How many diagonals are there in an Octagon ? 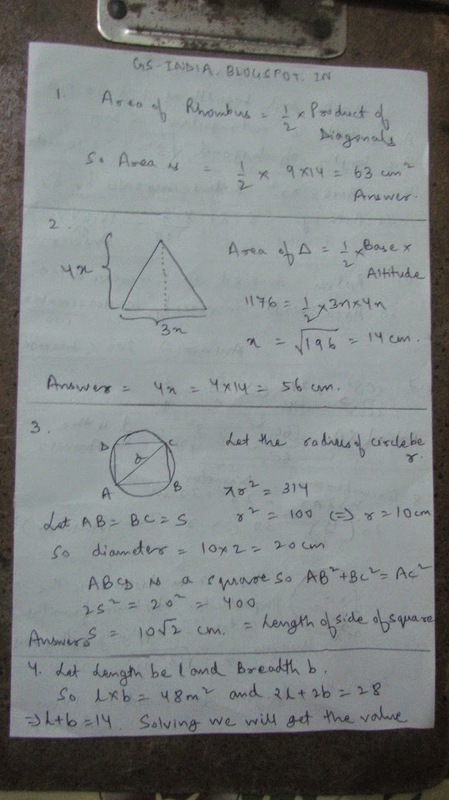 The answer link of above questions is provided below. In case of any doubts post them in the comment section below.